The “The Doctor Asks A Favor Edition” of Dr. Bill Netcast #162! Our local VMware User’s Group Meeting, find one near YOU! Geek Culture: Where has the Ninja been for two years? Howto on watching netcasts via your HD TV! Using Miro, Geek Software of the Week: Miro Video Converter, the Tech News! I have Vudu on my Visio Blu-Ray Player at home. It is pretty cool! In fact, my Player came with $15.00 in free rentals, which I have to use before the end of this month! So, I had better get busy this weekend and watch some stuff! 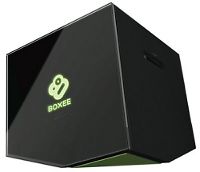 Anyway, the Boxee Box looks cool… but, I am leaning toward the Roku box… more on that when I finally get one, or the other! The bottom line is, the future is Streaming Video on the Internet (IPTV!) You have heard it here on the Doctor’s Blog for years! “Streaming video on demand service Vudu will be available on all forms of Boxee in November, the company announced Thursday. This partnership will put a Vudu client on both the D-Link Boxee Box and the Boxee media center software for PC and Mac. The service offers 480p, 720p, and 1080p HD movie rentals, and gets many movies in conjunction with their DVD launch. Though the service first launched as a standalone set top box back in 2007, it eventually became a video solution embedded in TVs and connected Blu-ray players. Vudu’s shift to being an embedded service looks to have been timed perfectly, and it is now available on products from LG, Mitsubishi, Samsung, Sanyo, Sharp, Toshiba and Vizio. In early 2010, Vudu was acquired by Wal-Mart, cementing its place in the burgeoning for-pay video streaming market alongside Netflix, Apple, Amazon, and Blockbuster. So, there has long been a “fuss” among Linux wonks about “KDE?” or “Gnome?” Well, Canonical (makers of Ubuntu) say, “Unity!” The new Unity interface is built on Gnome, but it is different! Interesting choice, Canonical! “The ‘Unity’ user interface that debuted in Ubuntu 10.10’s Netbook Edition will be standard on the next version of the Ubuntu Desktop Edition as well. 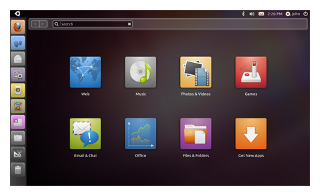 Ubuntu Desktop 11.04 will replace the Linux distribution’s default GNOME desktop environment in favor of the multitouch-enabled Unity interface, says Ubuntu sponsor Canonical. Making the announcement at a keynote Oct. 25 at Ubuntu Developer Summit in Orlando, Fla., Mark Shuttleworth, Canonical’s founder, said Ubuntu Desktop 11.04 will swap out the GNOME user interface in favor of the Unity interface that is now available on the Ubuntu Netbook Edition (UNE). ‘We conceived some work a time ago focused on netbooks that we want to bring to desktops,’ Shuttleworth said. 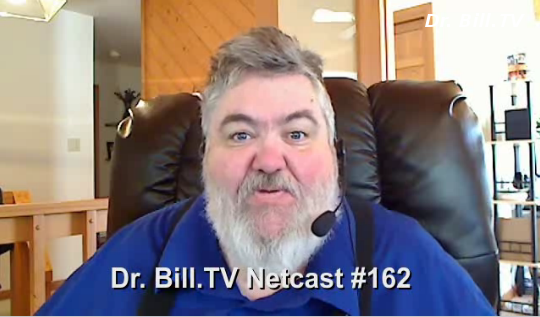 Re-Launch of the Dr. Bill.TV Web Site! 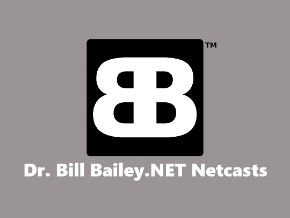 I have finished an “upfit,” and “re-branding,” of the Dr. Bill.TV web site! 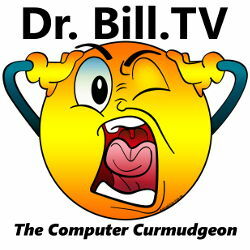 It is the new “go to” place for Dr. Bill -The Computer Curmudgeon videos! It would be REALLY great if you would consider subscribing to this feed for the new, re-launched show! If you go to the site, you will see lot’s of ways to subscribe at the bottom of the main page. Enjoy the geekiness! More stuff coming soon on the next Netcast! Stay tuned! Also, feel free to “spam” your friends with email about how strange, silly, and high tech weird the Dr. Bill Show is! Limewire has been shutdown. And, I must admit, I am not disturbed by that. I have cleaned up tons o’ PCs of my friends that, after using Limewire, became severely infected from bogus crapware that came through Limewire! After a four-year legal battle… they have been ordered to close up shop. Geek Software of the Week: Miro Video Converter! It is designed mainly for folks that download video and then want to convert it to run on a hand-held device, like your iPhone, Droid phone, etc. Good stuff! 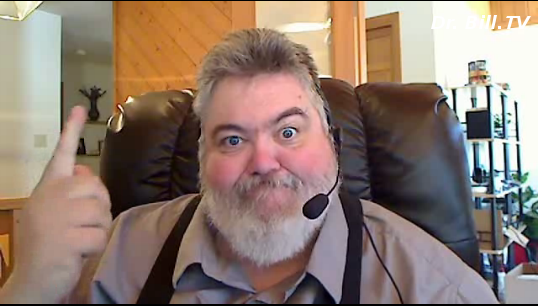 The “The Doctor Has a Coughing Fit Edition” of Dr. Bill Netcast #161! Steve Jobs… worried? Yet Apple way ahead profit-wise! A Geek Project – The JW Player! The Doctor has a coughing fit! Geek Culture with Jonathan Coulton! And much more! This sounds like it will be a cool, new technology when we have it in our hands! Cool! “Wi-Fi Direct certification has begun. The Wi-Fi Alliance announced today that products from Atheros, Broadcom, Intel, Ralink, Realtek, and Cisco will be the first Certified Wi-Fi Direct hardware in the test bed for the new wireless networking standard. The key feature of the new Wi-Fi Direct standard is that it lets devices with 802.11 wireless radios communicate directly with one another without the need of a wireless router between them. Wi-Fi Direct devices near one another can transfer content at speeds 25 times faster than they could with Bluetooth 2.0. As a result, the standard has been referred to as a Bluetooth Killer in IEEE meetings. 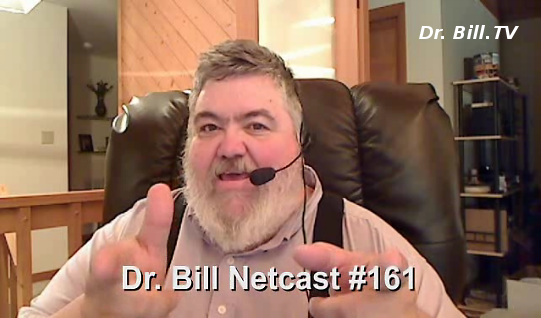 “Installing Ubuntu – Netbook Edition 10.10” A Special Edition of the Dr. Bill Netcast #160! 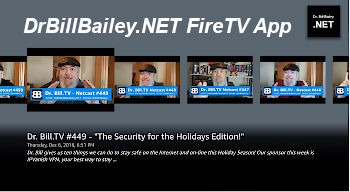 Geek Project: Using the JW Player for the Dr. Bill Show! I have highlighted the awesome JW Player for flash as a “Geek Software of the Week” before, and it rocks! But, with the re-launch of the “Dr. Bill – The Computer Curmudgeon” show, I decided to “go all out” and purchase a full copy of the player from Longtail Video (Jeroen “JW” Wijering’s brainchild) and go for it! I had used the “freebie” player before, and was very impressed, but, since one day, if the stars align, I hope to make a little spending money from the show (we can only hope!) … legally (and you guys know, the Doctor is all about the legal!) I had to purchase the full version.